If you've got an AMD Radeon graphics card, now is the time to update your drivers: the company has launched version 16.4.2 that includes performance improvements and full support for Xconnect technology. 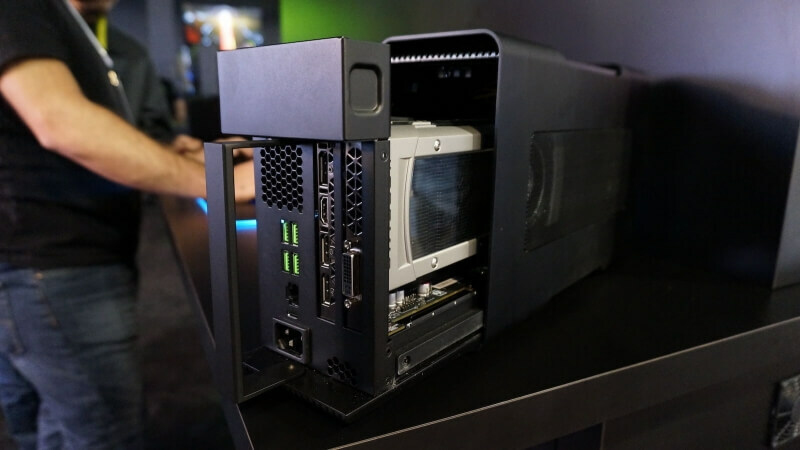 Xconnect allows gamers with supported systems to use a Radeon GPU in an external enclosure over Thunderbolt 3. At this stage, the technology supports Radeon R9 Fury, Nano and 300 series cards, giving those with underpowered laptops a serious performance boost in games. AMD says the 16.4.2 drivers include an "integrated management interface" as well as plug and play support. Unfortunately you can't simply use Xconnect with any Thunderbolt 3 device. Instead, manufacturers will need to enable or include external graphics support in their devices' BIOS, and users will need to ensure they're running at least Windows 10 build 10586 with the latest Thunderbolt firmware and a correct Thunderbolt 3 cable. The Radeon Software Crimson Edition 16.4.2 drivers also include new Crossfire profiles for Elite Dangerous and Need for Speed. AMD has fixed a number of issues with flickering in games when Crossfire is enabled, and fan speed issues on R9 380 graphics cards has been resolved. As always, you can download the latest AMD Radeon Software drivers through Radeon Settings automatically. If you want a manual installer, you can grab directly from here.